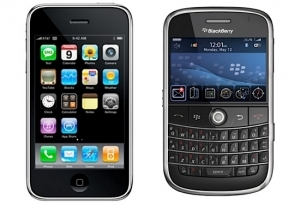 BlackBerry to iPhone and back to BlackBerry | BlackBerry Blast! The iPhone is a fantastic device to handle photos, Internet, and media but the BlackBerry does better at the core functions that involve typing, like email. The article lists a long list of iPhone upsides and downsides and it's definitely worth the read.